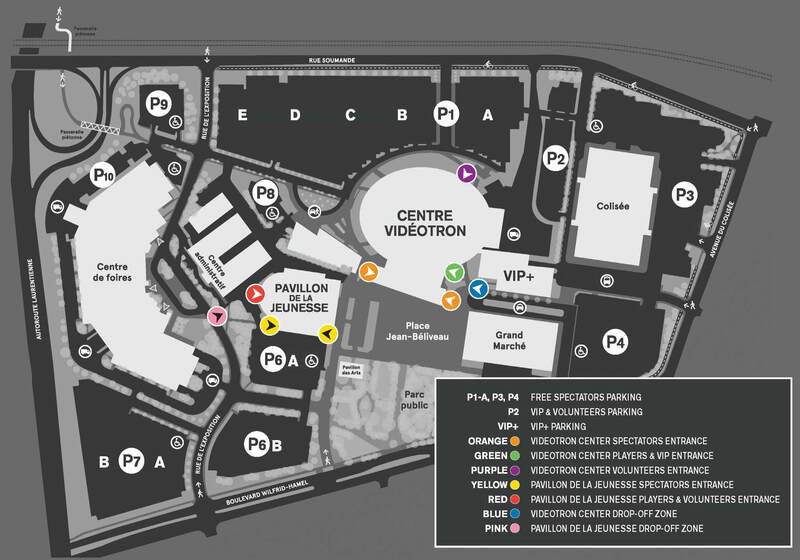 There are two options to get to the free parkings around the Colisée: Enter via Avenue du Colisée to get to P3 or P4 OR enter via rue Soumade to get to P1-A or P3. Located on the ExpoCité site, the Videotron Center and the Pavillon de la Jeunesse are strategically located and easily accessible by public transport. No need to find parking once there!